Derek is a Software Engineering Intern in IBM. 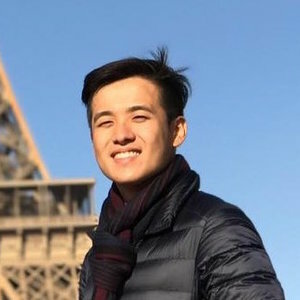 He is pursuing a Bachelor of Science Engineering Science (Computer Science) and Master of Science in Technology Management at the Nanyang Technological University, graduating in 2019. My colleagues are talented, experienced researchers and software engineers who understand the hurdles that a junior software engineer face. My work is a mixture of research and implementation. There is a focus to keep up with new research in mathematical and computer science fields, that can be applied to blockchain platforms, and concentrating efforts on implementing these findings as new features on the IBM Hyperledger platform. I learned about this opportunity at IBM during the inaugural IBM Research Festival less than a year before the start of my internship as I was helping my friend to prepare his presentation to the attendees. I was led through the standard interview process with the cognitive test, preliminary phone interview and on-site interview. The hardest part of the selection process was the IBM Information Processing Aptitude Test (IPAT). Also, I have a strong interest in research, especially in applied cryptography. My constant effort in learning beyond my undergraduate syllabus and keeping up with open source tools and frameworks distinguished me from other candidates. My colleagues are talented, experienced researchers and software engineers who understand the hurdles that a junior software engineer face. They have been very supportive when I was unable to use certain tools or understand code snippets. They were also willing to take time off their current projects to give me a run-through of how things worked. I had the internship on a part-time basis in a semester before interning full-time in summer. During the part-time internship, I was also working on my Final Year Project. I did not have time during some of the weeks to work on my internship project. However, I am fortunate to have a supervisor who worked together with me to set a flexible schedule along with targets, helping me get through strenuous times. The best parts would definitely be the moments when the code compiles successfully. During the start of my internship, my colleagues guided me to use relevant research papers and resources for my project and helped me with programming languages when I lacked the experience. This bootstrapping phase has definitely accelerated the pace of my internship and allowed me to proceed to the more interesting and exciting parts. My working hours are very flexible during my part-time semester internship. On certain days, I worked from home as the distance between my school, hostel and the office is long. I appreciate my supervisor’s hands-off approach, giving me the freedom to pursue my targets with a more flexible schedule. This allowed me to balance my academic workload and classes effectively. An internship is a very valuable experience, especially when your colleagues are capable and willing to help you along the way.